Bankruptcy law is designed to benefit both debtors and creditors by seeing that debtors get relief from debts they can’t pay, and that creditors get paid from whatever assets the debtor does not need to live going forward. 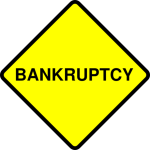 Bankruptcy is governed by the federal law found in Title 11 of the United States Code. As federal law, it supersedes any conflicting state law, so, with the exception of exemptions, bankruptcy law is the same from state to state. Chapter 12 – Farmers bankruptcy is a simplified reorganization for family farmers, where the debtor retains his property and pays creditors out of future income. Chapter 7 is the most common form of bankruptcy. It is a liquidation proceeding in which the debtor’s non-exempt assets, if any, are sold by the Chapter 7 trustee and the proceeds distributed to creditors according to the priorities among creditors established in the Code. Chapter 7 is available to individuals, married couples, corporations and partnerships. Individual debtors typically get a discharge within 4-6 months of filing the case. If there are assets which are not exempt, the trustee takes control of those assets, sells them and pays creditors as much as the proceeds permit. Any wages the debtor earns after the case is begun are the debtor’s; and the creditors have no claim on those earnings. A bankruptcy attorney can advise you regarding which of your assets will be exempt from liquidation, and what you can expect for the future. Chapter 11 is a reorganization proceeding, typically for corporations or partnerships. Individuals whose debts are too high to qualify for a Chapter 13 repayment plan may also file under Chapter 11. In Chapter 11, the debtor usually remains in possession of his assets and continues to operate any business, subject to the oversight of the court and the creditors committee. The debtor proposes a plan of reorganization which, upon acceptance by a majority of the creditors, is confirmed by the court and binds both the debtor and the creditors to its terms of repayment. Plans can call for repayment out of future profits, sales of some or all of the assets, or a merger or recapitalization. If you have a business with significant debt, you may need to consult with a bankruptcy lawyer regarding the reorganization option. Chapter 13 is a repayment plan for individuals with regular income and unsecured debt less than $336,900 and secured debt less than $1,010,650. The debtor keeps his property and makes regular payments to the Chapter 13 trustee out of future income to pay creditors over time (3-5 years). Repayment in Chapter 13 can range from 1% to 100% depending on the debtor’s income and the type of the debt. Chapter 13 also provides a mechanism for individuals to prevent foreclosures and repossessions, while catching up on their secured debts. In certain circumstances, debtors can reduce the balance of loans on vehicles or discharge second mortgages or home equity lines of credit. These types of discharges can be complex, though, and typically require the assistance of an attorney.Sometimes bankruptcy is the only option. Sometimes settling debts outside of bankruptcy is an option. A bankruptcy attorney will help you to assess when debt settlement might be an option. You should consult with a bankruptcy attorney in your state to see whether you can protect all of your assets in bankruptcy. If you have “non-exempt” assets that you wish to keep, then Chapter 7 bankruptcy may not be an option. Chapter 13 bankruptcy may still be available, but may be less desirable than non-bankruptcy debt settlement. There are many questionable “debt settlement” companies out there. Often these companies require up front “fee” payments, often amounting to thousands of dollars, which are non-refundable, even if they fail to reach settlement with your creditors. An attorney will have credibility when telling your creditors that if a settlement cannot be reached, a bankruptcy notice will be forthcoming. Many bankruptcy attorneys will agree to try non-bankruptcy debt settlement before filing a bankruptcy case on your behalf. It is not recommended that you file bankruptcy without the assistance of an attorney. The Bankruptcy Code is complex and contains pitfalls that are not necessarily foreseeable prior to filing. Based on the factual and legal complexity of your case, a qualified bankruptcy attorney will be able to offer you a customized solution to your situation. Contact LegalHelpLawyers.com today for legal aid with bankruptcy!